Students from East Junior High’s International Weather Team building their station. 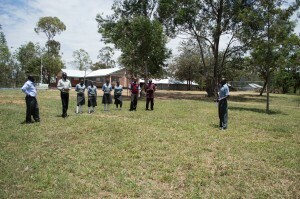 Koyoo Mixed Day School students and staff at the future site of their TAHMO weather station. East Junior High in Boise, Idaho and St. Elizabeth Koyoo Mixed School near Homa Bay, Kenya became School-2-School Program partners in early 2014. East Junior High created an after-school club, the International Weather Team, who met and built a station for their school rooftop in April of 2014. In the spring of 2014, the IWT renamed themselves the International Climate Team, and began fundraising to purchase laptops for their sister school in Koyoo and enhance project communications. 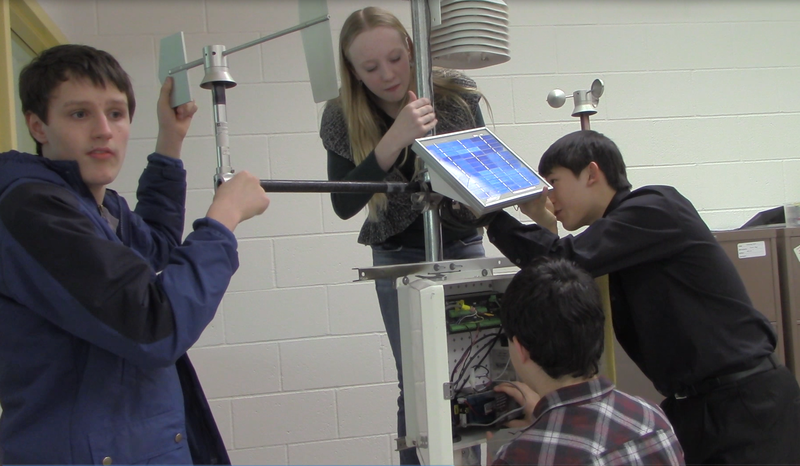 Koyoo Mixed Day School had a TAHMO weather station installed in June 2014, and the schools plan to begin collaborating and sharing data in the fall school year. Click below to access the student forum and send messages, projects and updates to your sister school!